If you’re looking to switch up your workout and try something different than you’re going to want to pay close attention to this full body workout plan which is appropriate for men or women. This workout is intended to help you lean pure lean muscle while also allowing you to increase your endurance levels. Before we get into the workout let’s cover some basics. The number of repetitions that will be recommended in this full body workout plan is 12-14 repetitions. How do you know how much weight to use? Simple. 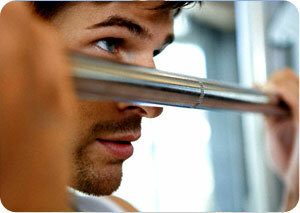 If you’re aiming for 14 repetitions the last rep should be almost impossible to complete. If it’s not then you know you need to increase the weight. That sounds easy enough, but what I want you to focus on is not your weight but rather your form. Always, always, always keep a natural curve in your back. This means your shoulder blades should be pulled back and your chest pushed out. Let’s take this a little further. Whenever you are doing a movement a general rule of thumb is to always have a slight bend at your elbow or knees at the end of the movement. This will protect your joints and will definitely make the exercises harder as you won’t be able to use your body momentum to push through the exercise. Speaking of body momentum, generally you also don’t want to be swinging in any exercise with weights unless you are using a kettlebell. This is especially the case with dumbbells because it is quite easy to bring in a swinging motion and lose focus of the muscles you are trying to workout in the first place. I see this most often with people doing squats, bicep curls and triceps pulley push downs, so be especially aware with these exercises. Let’s get on with the fully body workout plan, it may be a different strategy then you actually imagined when you read full body workout plan! So what I meant by it being different is that we are going to split your routine so that it consists of alternating upper and lower body exercises split with cardio/core days. This allows one set of muscles to recover while you workout the other set. Remember this workout plan is intended to build lean muscle so keep your rest between sets and exercises to less than 60 seconds and more than 30 seconds. Get pumped, here we go! Since we’re going to be working every muscle fiber in your body there are some staple supplements which should be part of your diet to help burn fat, maximize recovery and reduce muscle soreness. It’s time to take control and add variation in your workout plan with this powerful full body workout plan which will not only help you reduce body fat but also build lean muscle and is appropriate for men and women alike. If you find that your muscles are really sore the next day make sure to include the supplements above or add a day of rest between these workouts. The post Full Body Workout Plan appeared first on Weight Loss & Training.